The Student National Medical Association (SNMA), established in 1964, is the oldest and largest independent, student-run organization focused on the needs and concerns of black medical students in the United States. It was established as a subdivision of the National Medical Association in 1964 by medical students from Howard University and Meharry Medical College. 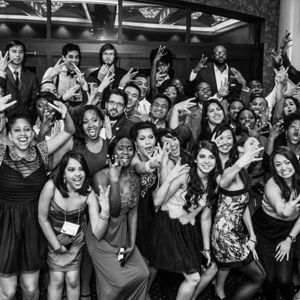 The organization is committed to supporting current and future underrepresented minority medical students, addressing the needs of underserved communities, and increasing the number of clinically excellent, culturally competent and socially conscious physicians. SNMA has over 150 medical chapters, which implement educational, outreach, and mentoring activities consistent with the goals of the organization. Premedical MAPS chapters work with their host SNMA chapters to hold workshops, speakers, medical campus tours, and advising sessions. Chapters belong to one of ten SNMA regions, each headed by a Regional Director. The Regional Director supports chapter programs and oversees a regional medical education conference, as well as other regional activities.